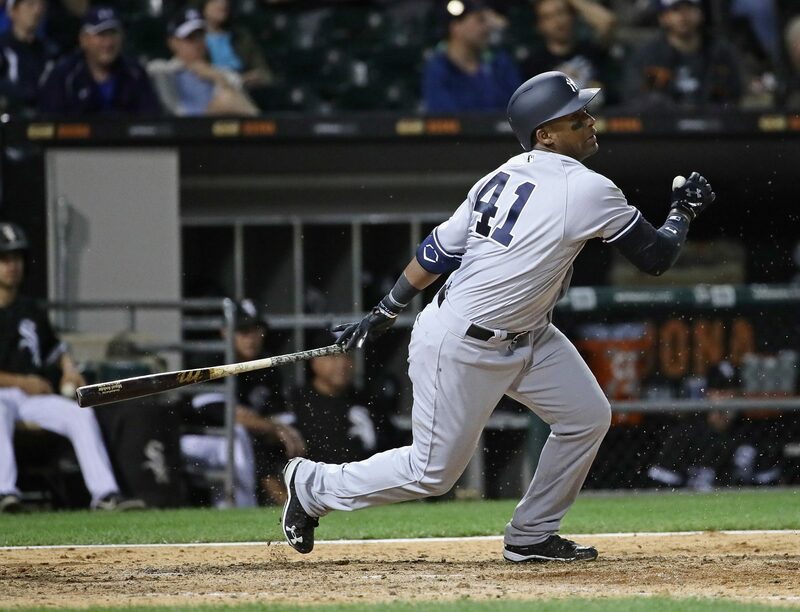 Miguel Andujar. Your soon-to-be 2018 American League Rookie of the Year. Before anyone makes any comments on Andujar’s defense, I GET IT. I’d be the first one to be critical of his defense and what he needs to work on in that department, but this kid’s bat, along with a huge August from Giancarlo Stanton and Didi Gregorious, has carried this Yankees’ ball club lately. That’s absolutely exceptional, especially from a guy who a lot of Yankees fans had high hopes for, but never expected to produce at this clip this quickly. He is 40 for his last 117; that’s a .342 clip over his last 30 games. He has 8 homers and 26 RBIs over that same stretch. Of those 40 hits, 16 have been for extra bases. In a time where this Yankees team has needed clutch hitting and big performances more than ever this season, Andujar has stepped up enormously. With a drastically underachieving Greg Bird (who may or may not be catching fire right now), Shane Robinson (yikes, just yikes), and for a couple weeks, Luke Voit (YIIIIKES), Andujar’s incredible stretch was a necessity. The Bronx Bombers begin a five game road trip beginning tonight in Miami, followed by a three game set in Baltimore, and then five at home versus the Chicago White Sox and Detroit Tigers. After struggling on and off this season against bad teams, these are games the Yankees must win. To accomplish that, they’ll need players like Andujar, Stanton and Sir Didi to continue to hot streaks. Any hope of catching Boston to avoid the dreaded one game playoff needs to start with a potential winning streak. If Andujar continues his hot streak, he’ll have the 2018 AL Rookie of the Year Award in the bag. The “Du” can do, and will do for the his team. The fun is just getting started. As the legendary John Sterling would say, it’s time to get Miggy with it!